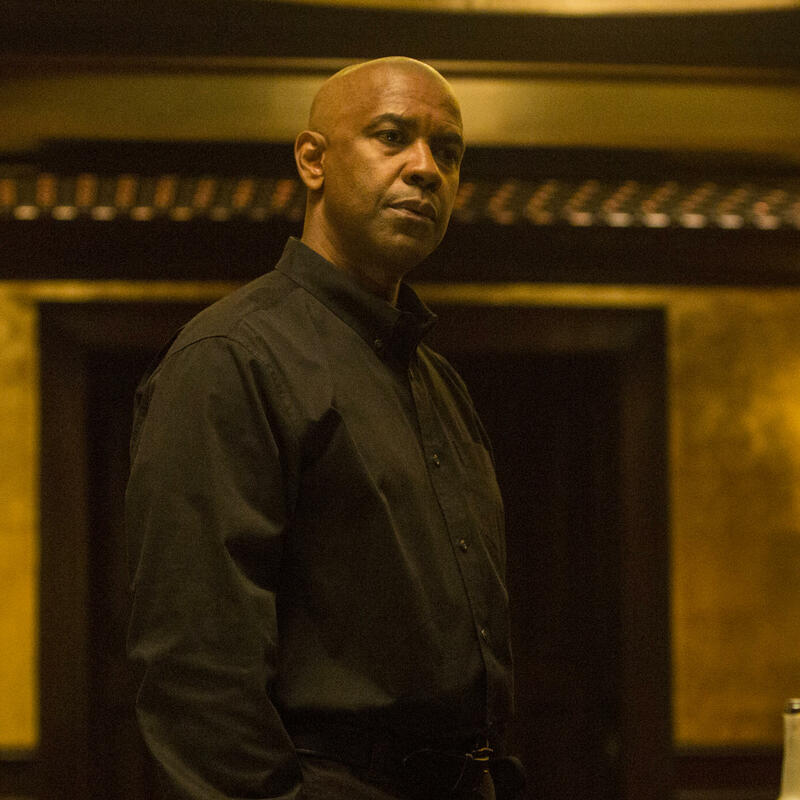 Denzel Washington stars as a retired intelligence officer in The Equalizer. The movie takes a full half hour introducing Robert, Washington's character, as a seemingly ordinary Boston resident who has a nine-to-five job and never misses a chance to pass on a wide range of positive-thinking aphorisms. "I think you can be anything you want to be," he says. Robert is talking to a young Russian prostitute, played by Chloe Grace Moretz. He takes a fatherly interest in her and that turns him into the world's deadliest Boy Scout, able to create the kind of mayhem with a corkscrew that no sommelier would ever condone. Robert's heroics bring to Boston a fierce Russian enforcer known as a sociopath with a business card. Does Robert back down? No he does not. "I've done some bad things in my life," he says. "I promised someone that I love very much that I would never go back to being that person, but for you I'm going to make an exception." The Equalizer echoes Clint Eastwood's brilliant Unforgiven by focusing on how strong and irresistible the lure of violence is for those who have indulged in it. Now that Robert is off the wagon, it will come as no surprise that an Equalizer 2 is in the works. When Denzel Washington collaborated with the director Antoine Fuqua on 2001's "Training Day," the film won Washington an Oscar and changed the trajectory of his career. Now the two men are together again for "The Equalizer." And we have a review from Los Angeles Times and MORNING EDITION film critic Kenneth Turan. 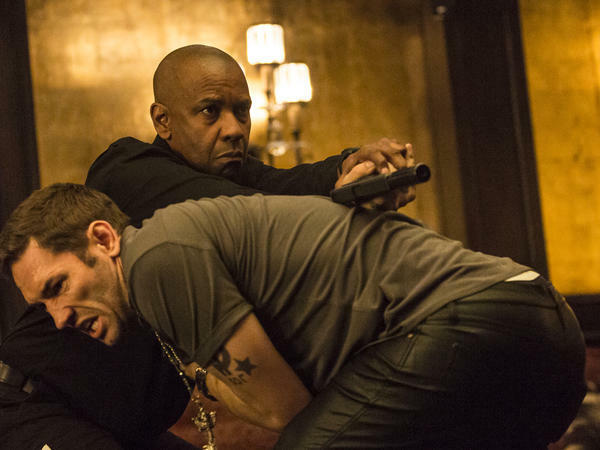 KENNETH TURAN, BYLINE: "The Equalizer" is unapologetic in its excessive, frequently grotesque violence. But because it's got Denzel Washington as its star, it's more interested in character development than you might guess. "The Equalizer" takes a full half-hour introducing Robert - Washington's character - as a seemingly ordinary Boston resident, who has a 9 to 5 job and never passes up a chance to pass on a wide range of positive thinking aphorisms. DENZEL WASHINGTON: (As Robert McCall) I think you can be anything you want to be. CHLOE GRACE MORETZ: (As Teri) Maybe in your world, Robert. It doesn't really happen that way in mine. WASHINGTON: (As Robert McCall) Change your world. TURAN: Robert is talking to a young Russian prostitute played by Chloe Grace Moretz. He takes a fatherly interest in her. And that turns him into the world's deadliest Boy Scout, able to create the kind of mayhem with a corkscrew that no sommelier would ever condone. Robert's heroics bring to Boston a fierce Russian enforcer known as a sociopath with a business card. Does Robert back down? No, he does not. WASHINGTON: (As Robert McCall) I've done some bad things in my life. I promised someone that I love very much that I would never go back to being that person. But for you I'm going to make an exception. TURAN: "The Equalizer" echoes of Clint Eastwood's brilliant "Unforgiven" by focusing on how strong and irresistible the lure of violence is for those who have indulged in it. Now that Robert is off the wagon, it will come as no surprise that an "Equalizer 2" is in the works. INSKEEP: Kenneth Turan reviews films for MORNING EDITION and The Los Angeles Times. It's MORNING EDITION from NPR News. I'm Steve Inskeep. And I'm Audie Cornish. Transcript provided by NPR, Copyright NPR.